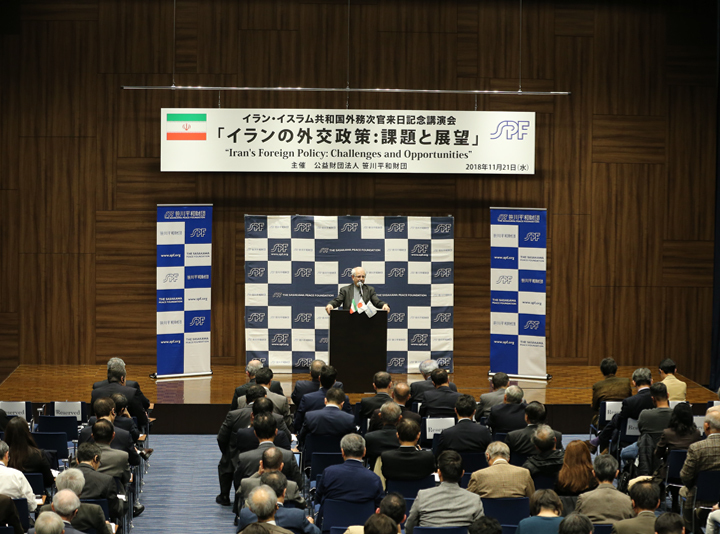 For nearly a decade, the Middle East and Islam Program Department of the Sasakawa Peace Foundation (SPF) has spearheaded a series of cultural and educational exchange programs to strengthen ties and deepen the mutual understanding between the people of Japan and Iran. 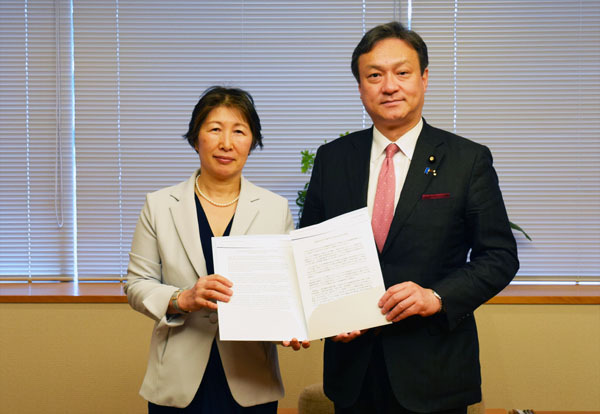 As part of this effort, SPF has partnered with the School of International Relations (SIR), an institute affiliated with Iran’s Ministry of Foreign Affairs, to organize annual exchange trips for Iranian and Japanese students. 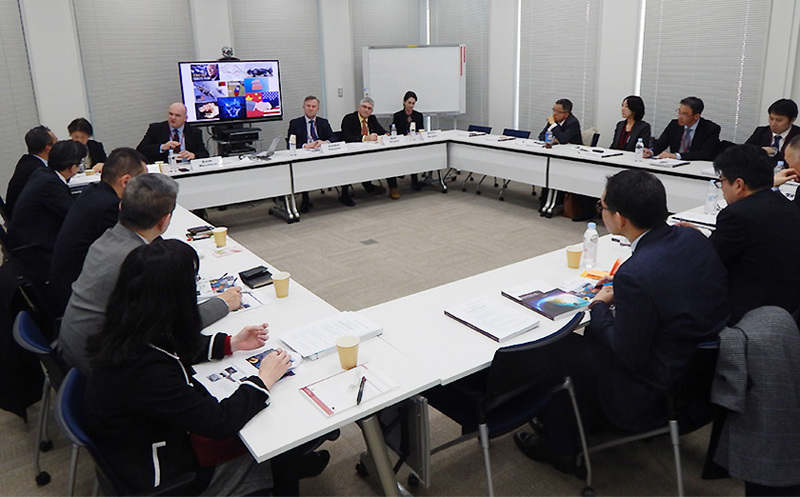 In 2018, a delegation of eight SIR students led by Dr. Mohammadreza Dehshiri, Deputy Dean for Educational Affairs at SIR, travelled to Japan from November 27-December 7 to attend workshops and meetings in Tokyo, Kyoto, and Hiroshima. While in Hiroshima, the student delegation participated in several training sessions at the United Nations Institute for Training and Research (UNITAR) and visited the Hiroshima Peace Memorial Park, the Hiroshima Peace Memorial Museum, and other locations around the prefecture. 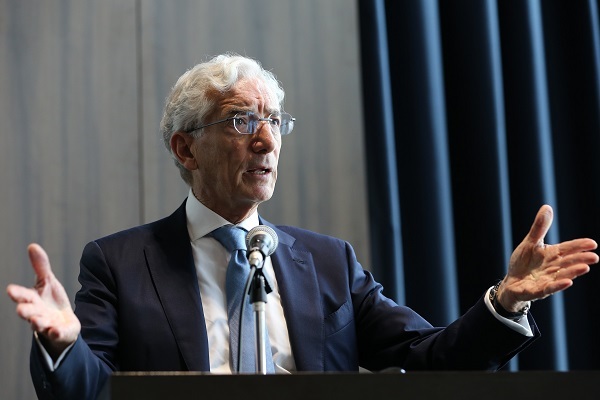 For the students, all of whom were travelling to Hiroshima for the first time, these activities presented an opportunity to not only deepen their understanding of the destructive force of nuclear weapons and the devastation of war, but also to consider the power of reconstruction and reconciliation. 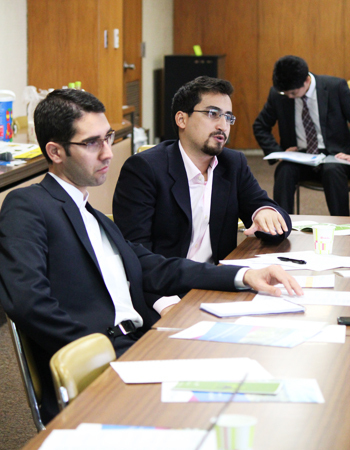 During their stay in Hiroshima, the students attended three workshops hosted by the United Nations Institute for Training and Research (UNITAR), a UN agency that conducts research and develops training modules to build capacity for public and private actors pursuing global peace and development. To kick off the first session, UNITAR training associate Mr. Nigel Gan gave a presentation summarizing the activities of UNITAR around the world. He also introduced the UN Sustainable Development Goals (SDGs) with a focus on SDG 16, which seeks to promote peace, justice, and strong institutions. The session concluded with a series of games that emphasized the need for effective communication and cooperation between participants. 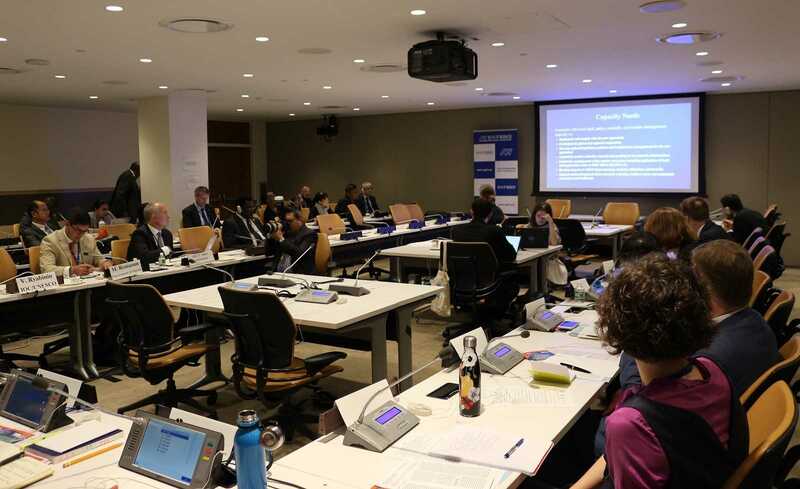 These interactive activities led the students to deeper conversations about the meaning of multilateralism and consideration of the ways that power dynamics and external forces like financial or political strength can influence cooperative endeavors. For the second session, UNITAR training associate Ms. Junko Shimazu gave a lecture about the history of Hiroshima's post-war reconstruction and its development into a modern city. During a discussion with the students following her presentation, Ms. Shimazu also touched on the debate that occurred in post-war Hiroshima over whether the buildings that survived the bombing, including the structure now known as the A-Bomb Dome, should be destroyed to allow citizens to move past the war or preserved as a symbol of peace. When explaining the city's decision to save the buildings, Ms. Shimazu introduced the phrase "forgive but not forget" as a way that the Japanese public understood the memorialization of the A-Bomb Dome and the concept it represents. The final session featured Dr. Nassrine Azimi, a senior advisor at UNITAR. 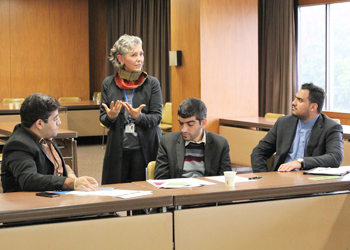 Dr. Azimi, who herself is of Iranian heritage, began her speech in Persian to the excitement of the student delegation, and pointed out that in the seven years she spent at UNITAR in Hiroshima, this was the first time in the same week that representatives from Iran, Iraq, and Afghanistan all attended training modules at the institution. 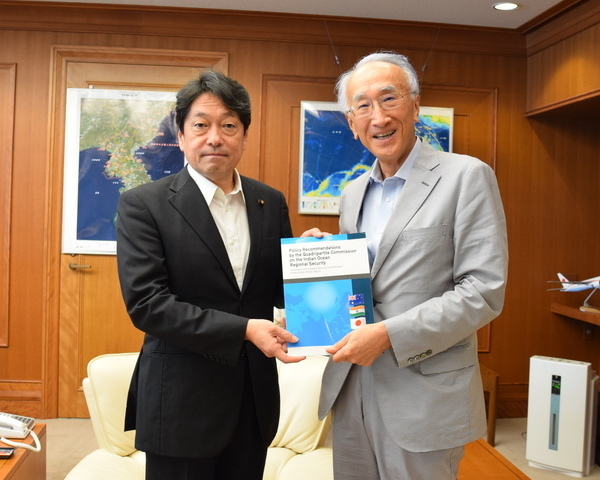 Dr. Azimi's main presentation sought to explain how Japan has managed more than 70 years of sustained peace following the end of WWII by looking back at the cultural roots of Japanese society, Japan's constitutional background, and the country's military history. 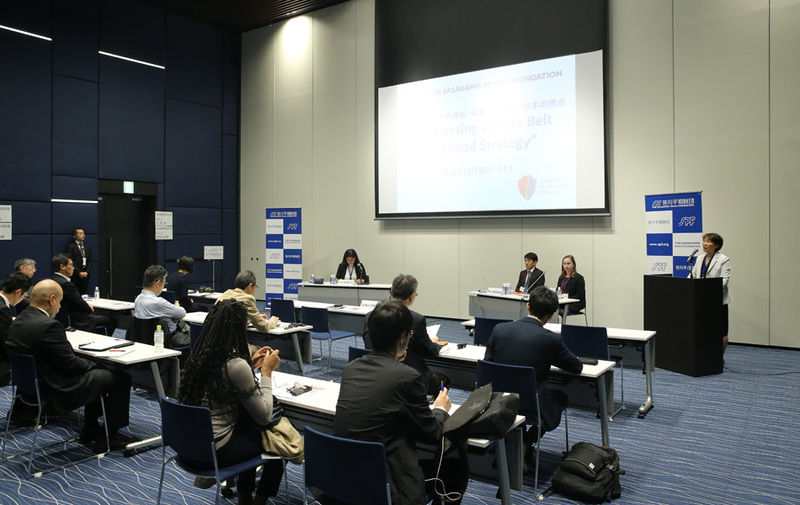 During a discussion with the students, she also addressed the issue of Japan's reconciliation with the United States. "[You ask] how can they forgive? And yet they have. It's not that they liked what the Americans did. It's that they decided that they were not going to be destroyed by it," said Dr. Azimi. 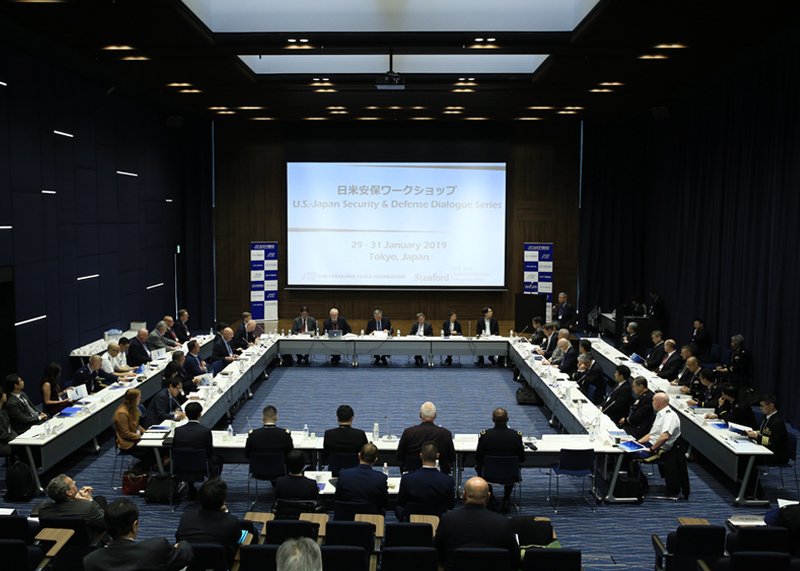 The question of how countries can reconcile after destruction as catastrophic as the atomic bombing became a central theme of the delegation's time in Hiroshima. For many students, this puzzle was a driving factor in their participation in this exchange trip. Alireza Jalali noted that before he came to Hiroshima, he thought "that it's impossible for the Japanese to forgive the U.S. military actions and forget them. But when I saw the Japanese and their spirit and their dignity in Hiroshima, it changed my mind that they could forgive them, something which I think is impossible...in other countries." 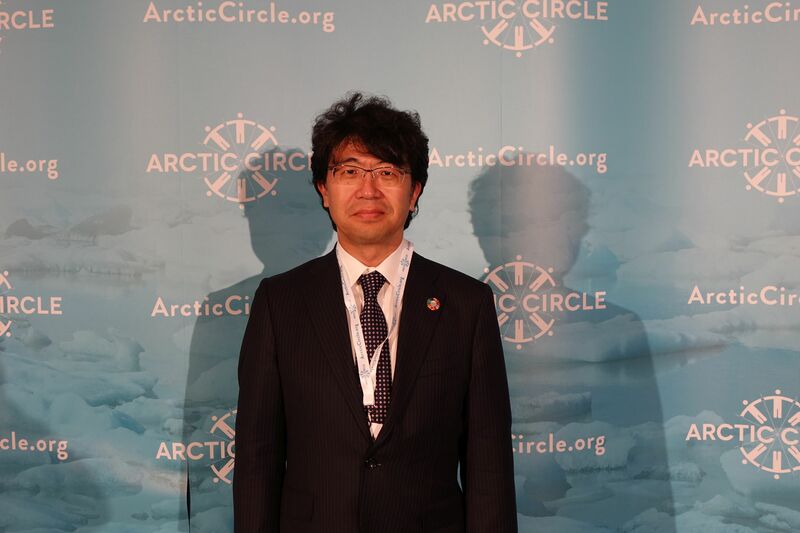 Other students, including Ali Amini, drew connections between the concept of forgiveness and the Japanese reconstruction after the devastation of WWII. "The Hiroshima people forgive the U.S. but do not forget. They have had their own wounds, but their energy, the energy of revenge, could be managed in order to be creative and constructive," said Ali, arguing that the country was able to shift its focus to economic development and innovation. 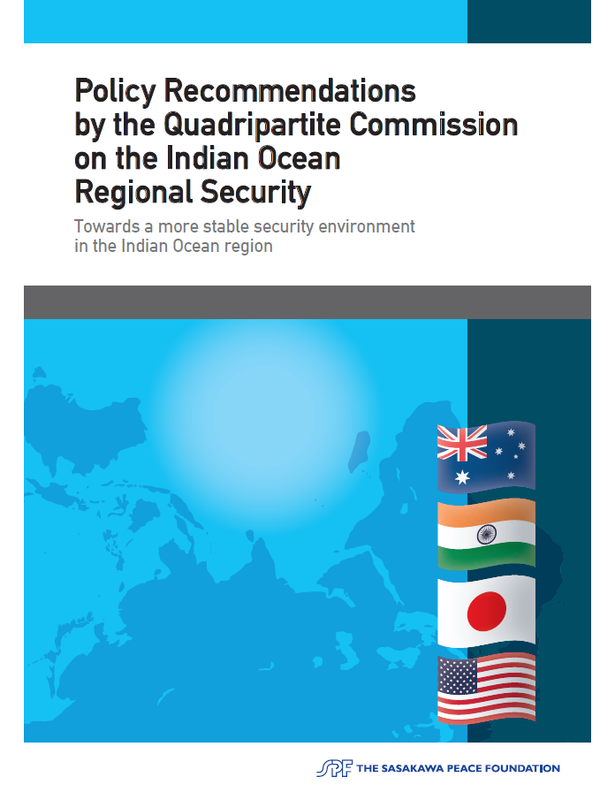 However, some students remained skeptical about whether countries can move beyond conflict. "They say that we put it aside and we don't forget, but we forgive. In my point of view, it's not possible," said Muhammad Bazli Khatibi. "If you don't forget something, someday or sometime you will avenge the thing that someone has done to you. It's human nature in my point of view." 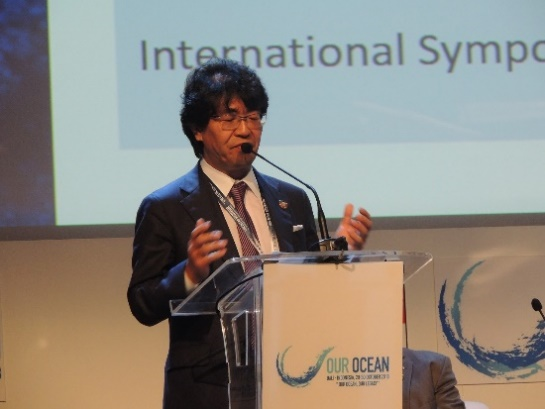 Many students also singled out Dr. Azimi's lecture as a highlight of the UNITAR sessions. 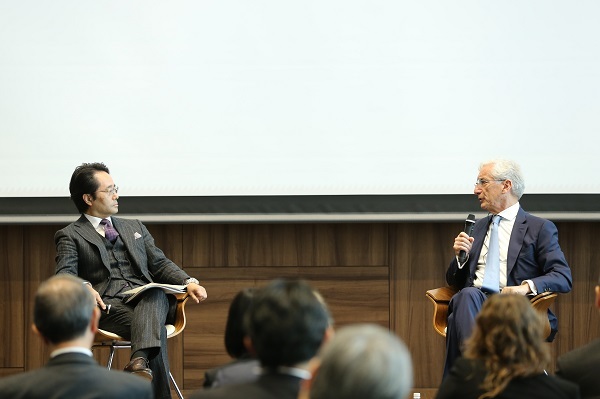 "I think that Ms. Nassrine's lecture was the most sensitive and meaningful part, especially when she talked about how Japan can overcome the outcomes of WWII and why they accept peace," said Shahireh Nozari. She also found Dr. Azimi's comparison between the U.S. occupation of Japan after WWII and the U.S. occupations in Iraq and Afghanistan particularly interesting. 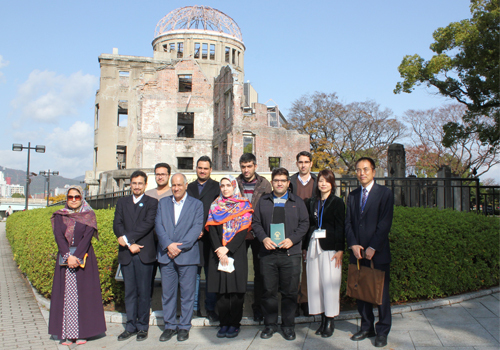 Following the seminar, Dr. Azimi expressed her happiness to host an Iranian student delegation and noted that the students were "intellectually curious" and eager to apply their own perspectives to the case of Japan. 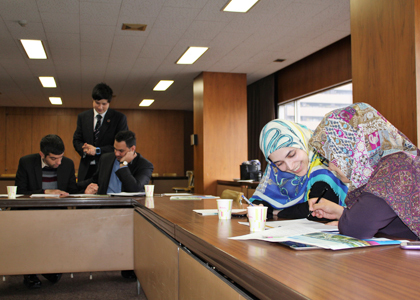 She also commented on the importance of educational exchange programs between Japan and Iran. "I cannot emphasize enough how important programs such as this one are — at a time when culture and understanding are getting so much short-shrift by our politicians, what SPF is doing essential, to keep the bridges among people and cultures," said Dr. Azimi. Presentation of the "Recommendations for the Success of the 8th Pacific Islands Leaders Meeting (PALM8)"
Releasing a New Monograph by Dr. Aaron L. Friedberg "The Authoritarian Challenge: China, Russia and the Threat to the Liberal International Order"
Releasing a New Monograph by Dr. Andrew Krepinevich "Archipelagic Defense: The Japan-U.S. Alliance and Preserving Peace and Stability in the Western Pacific"